The Conquer 4G is a great alternative to Sprint's other WiMAX handsets. It earns good marks on nearly every feature and offers access to Sprint's 4G network at a lower cost of entry. Basic performance of the Conquer 4G was good all around. The hardware is comfortable to use and feels well-made; the signal performance, display, and call quality are all above average, and the battery life is as good as any other Android smartphone. While the music and video options are somewhat ho-hum, the Conquer 4G excelled at taking pictures and shooting video, especially considering its low-spec camera. Browsing was quick, it offers plenty of optimization options, and with the availability of apps from the Android Market, the sky's the limit. 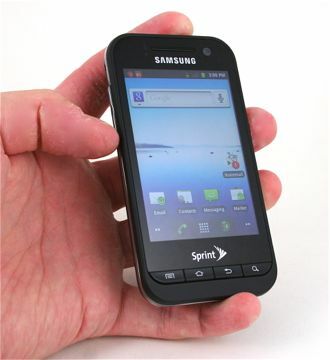 The Samsung Conquer 4G definitely conquers the competition, and offers the best bang-for-the-buck in Sprint's smartphone stable.